It is mind boggling that year after year smart TVs keeps getting cheaper and better at an unprecedented speed. The answer is simple, data, which has become the biggest commodity in the tech world. We already leaped so much into the future from the Nielsen TV rating era. The data smart TVs collect will make the Nielsen rating seem like a children’s play. If you own a smart TV, most likely, you are not the only one in your home watching. Your TV uploads what you watch, how long you watch, what games you play on your Xbox, what apps you use to make a purchase, rigorously to the cloud. The more your TV integrates into your home ecosystem, the more data it will collect. Your smart TV suppliers will bundle them together and sell it to marketing agencies. Smart TV is what the smartphone revolution use to be, and it’s even better. Most people update their smartphones every 3 years, while the average life span for a TV set is 7 years. That’s 7 years of guaranteed data marketing agencies would kill for. We are still far from any form of regulation. The consumers enjoy the cheaper price, the better user experience, while U.S. Senators are still trying to figure out how Facebook makes money. 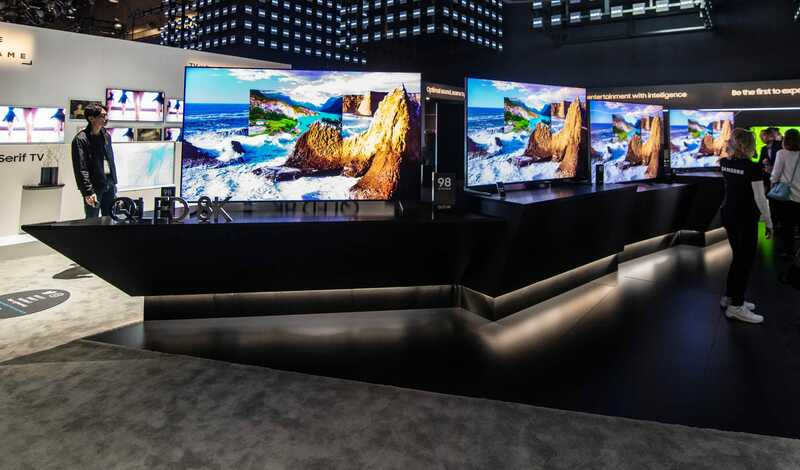 TCL, the second largest TV brands, said at CES 2019 no one buys a TV just for a TV. The Chinese company does not shy away from collecting user’s data, and hungry for more. They do that by making TV even cheaper. It is not the price tag they are going after. The data is where the gold is at. To help you guide yourself through the smart TV war, here is our winners at CES 2019. For people in the TV business, 2019 is the year of 8k resolution, voice assistant, and better smart home integration. However, it is Apple who is absent at CES made the biggest splash in Las Vegas. Apple is notoriously stingy when it comes to sharing its eco-system with other hardware companies. This year Apple not only shared its HomePod, but also let its nemesis, Samsung, add Apple’s prized media service, iTunes to its smart TV. If we have to pick a winner for this year’s TV war, LG would be the go-to choice. Two of LG’s biggest releases are its 65 inches consumer ready OLED rollable TV, and the 88 inches 8k resolution LED TV. LG said it will release the rollable TV by the end of 2019, but the company hasn’t set a price on it. Our guess is, it will cost more than $12,000, and here is why. The amount of OLED material cost would be more than $3,000. It also takes great precision to “roll” the TV in place. The mechanic of the rolling TV is more complicated than it looks. The screen does not roll together like a regular scroll. When the screen rolls into the box, the manufacturer left room in between the back of the screen and the face of the screen from scraping onto each other. This takes a lot of resources in precision manufacturing, and would makes building the TV expensive. Aside from LG’s operation system, the LG is one of the few companies that could integrate its devices into the Apple Ecosystem. It would support Apple Airplay 2 and home kit, which means you would be able to control your TV through Apple HomePod and Siri. LG would integrate Alexa into their system as well. The biggest surprise at CES media day is Apple gave Samsung an iTunes store. 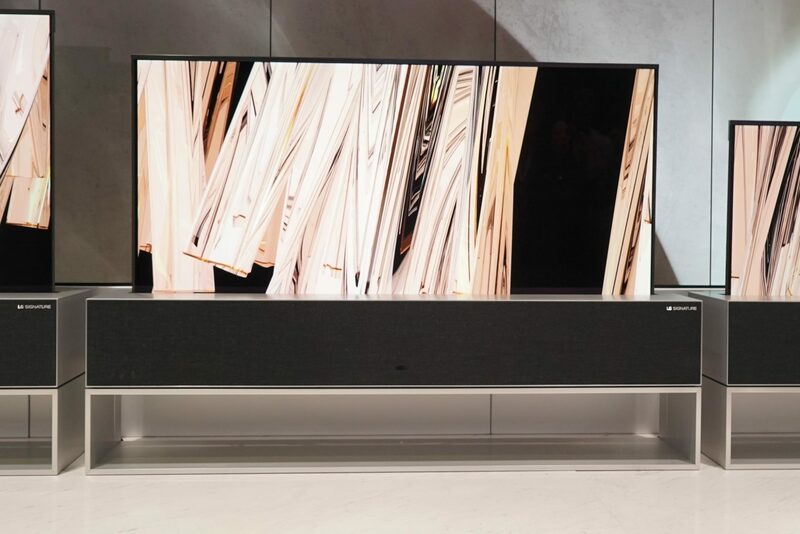 Samsung also showed how we could approach buying a TV with a completely different attitude. It’s MicroLED technology means you can build your TV in a modular way. You can buy a small TV, and continue to add pieces to make it bigger over the years. 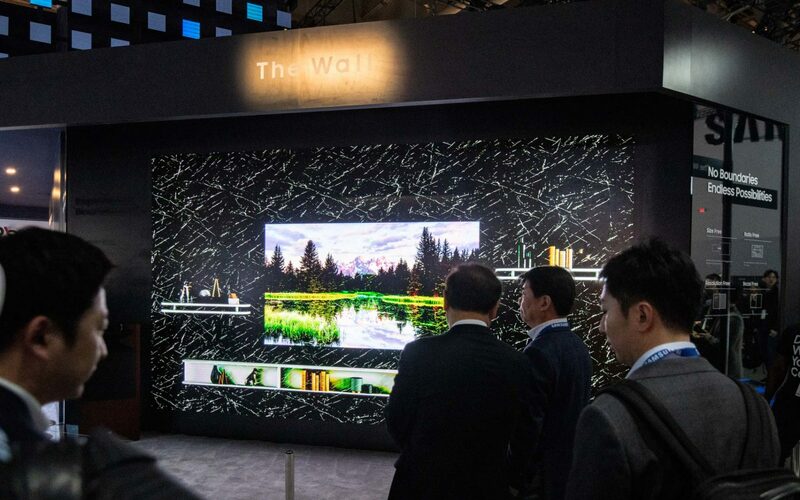 Here is Samsung’s 219-inch “the wall. Samsung also has the biggest 8k TV at CES. 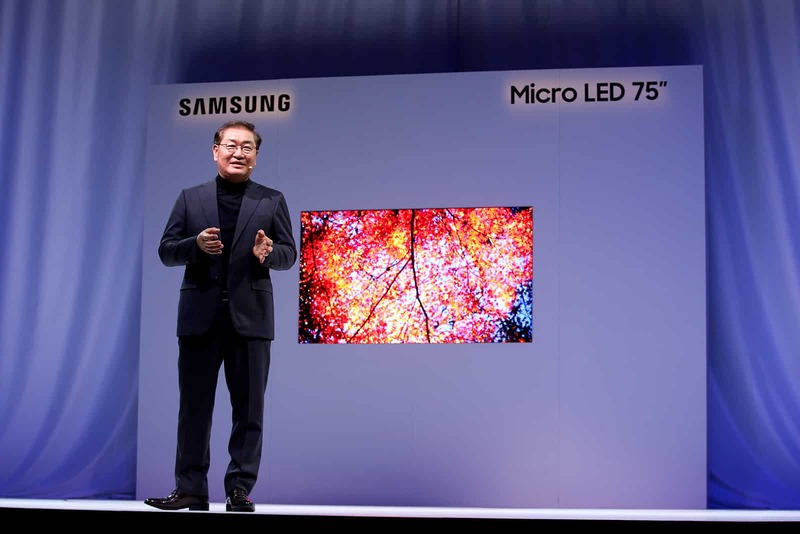 The Q900 QLED has a 98-inch screen. For us regular folks the 65-inch Q900 would be available for pre-order for $5,000.